It’s the most wonderful time of the year…tell me you sang that! I’m a bit of a nutcracker when it comes to all things Christmas. I love this time of year, especially the build up. From switching on the festive lights to shop window displays, Christmas shopping, markets, just drinking in all the festivities with a hot chocolate held in mittened hands. When the Metquarter invited me down to get my festive on at their Christmas press launch ho ho ho’w could I say no? Liverpool's Metquarter is the one-stop luxury shop where you are sure to find the perfect gift for either a loved one or a little self-indulgent festive treat this season. 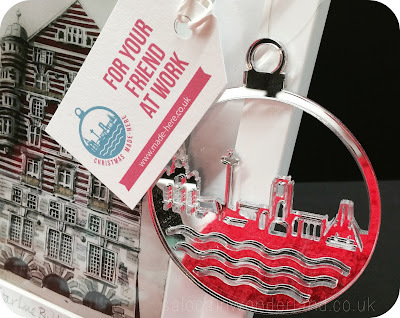 Home to some of my favourite brands, including Made, Illamasqua, Paper Chase and Urban Calm (an amazing inner city spa) I got to take a sneak peek at their Christmas lines, top gifts and of course, oh so pretty Christmas decorations. After being greeted on the door with a cheeky prosecco and a Christmas album blasting out our favorite Christmas tunes, I was given a personally guided tour around each stores stall, showcasing all things Christmas, I was like an excitable Elf in Santa’s workshop! 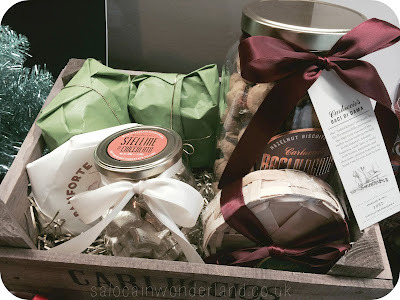 Christmas Food Hamper from Carluccious. Carluccious is an amazing Italian cafe - deli that sell some amazing Christmas food hampers for the foodie in your life. They also had a very tempting looking advent calendar - their Italian chocolates are so rich and delicious! Paperchase have got a gorgeous Peacock line out for the festive season, everything just looks so luxurious and that duck egg blue colour - wow. I was in love. Their hand stitched journals are some of my favourites at such an affordable price. Things like the twin peacock photo frames, mug, bath petals and notebooks would make lovely secret Santa gifts or last minute gifts to keep on hand for those surprise guests over Christmas! 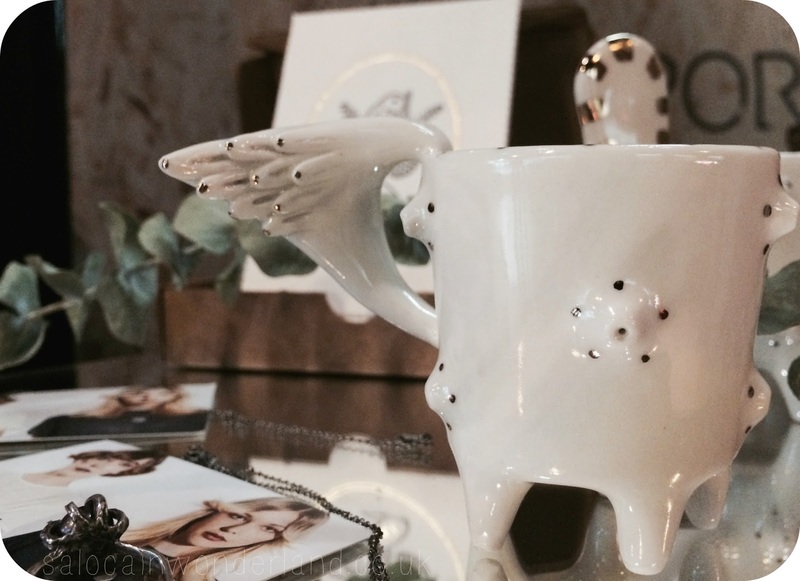 For those of you who love to keep it local like I do, Made-Here offers an array of products made by local artists. I personally fell in love with this laser cut flat disc Christmas tree decoration of the Liverpool waterfront. You’ll be sure to find that on my tree this year. They also sell some really great humorous handmade cards, perfect if you’re looking for something a little less Hallmark. Another pop-up coming to the Metquarter for Christmas is Rex. Similar to Made-Here, they offer all kinds of fascinating and slightly more unusual items designed by local artists and small businesses. Just look at that egg cup. Has breakfast ever looked more decadent? 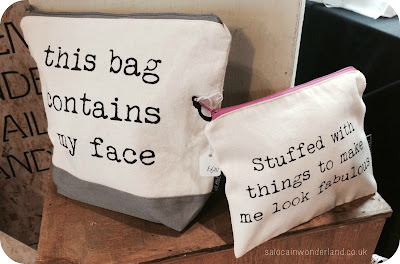 I also really like the wash bags - perfect for a beauty loving skincare junkie friend - you could even pop a few of their favourite products in the pouches! With prosecco, macaroons and canapés on offer to fill our bellies, Urban Calm also offered us neck and shoulder massages and an autumnal manicure. The Urban Calm girls were amazing. We talking all things blogging and skincare as I had my nails done and sipped prosecco, it was such a lovely way to end the event! I was also given a lovely little gift bag on the way out with a few goodies in to get me in the Christmas mood from Harvey Nichols Food Market, Illamasqua, Links of London, Vidal Sassoon and Phase Eight! If you’re looking for a little sparkle under your Christmas tree (or on it!) 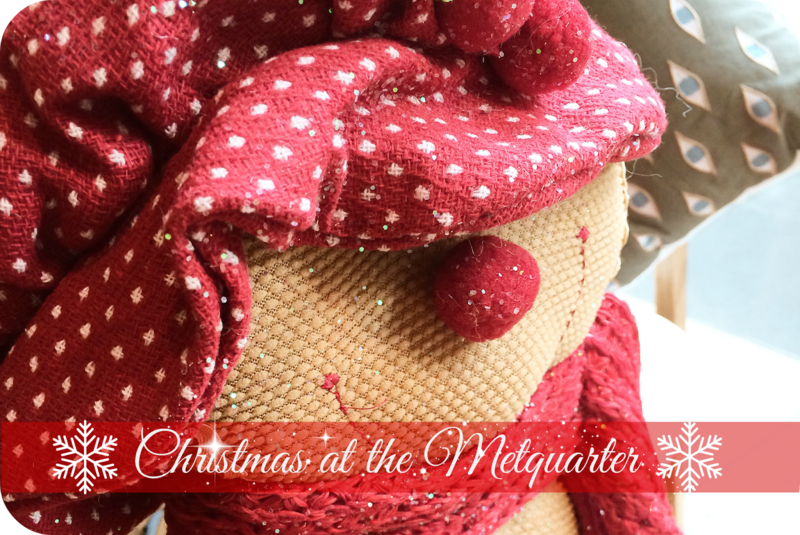 or something to give you the wow factor over this holiday season then head down to Liverpool's Metquarter - I promise you, you won’t be disappointed! I’ve already got a list as long as my arm of gifts I want to put under the tree this year! And when the stress of Christmas get’s too much? Urban Calm offer some amazing, affordable treatments, most of which you can just drop in for, no appointment necessary - perfect when you’ve been doing some last minute Christmas shopping! What an awesome invite you received! This looks like the coolest exhibition. I love it all! I would definitely be down for some not-so-hallmark humorous cards and those funny bags that say "This Bag Contains My Face!" too good. The wash bbs would be perfect for Secret Santa gifts! I know I've got my eye on them this year! You really are a nutcracker for Christmas, aren't you, I love it. :D I also love ho ho ho'w awesome those wash pouches would be, a perfect gift, truly - WANT. I love getting all Christmassy and festive! 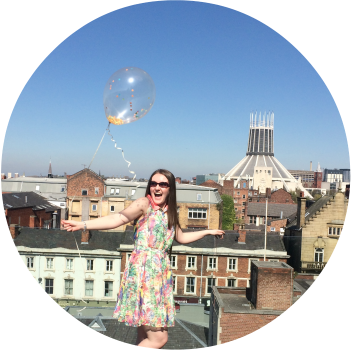 You can't beat this time of year - it's my favourite! I know I'll be keeping them in mind for occasion wear, I can't believe I've never thought of going in there before now! DUCK EGG DUCK EGG. Best colour. You are on the top of my Christmas list this year. Don't tell Hayley. Thanks hun! So many pretty things this year, it's going to make shopping for gifts so much harder, especially when I want them all for myself hah!